GitHub - darshandsoni/n1-firefox-theme: A Firefox inspired theme for the Nylas N1 email client. Based on the Taiga theme. 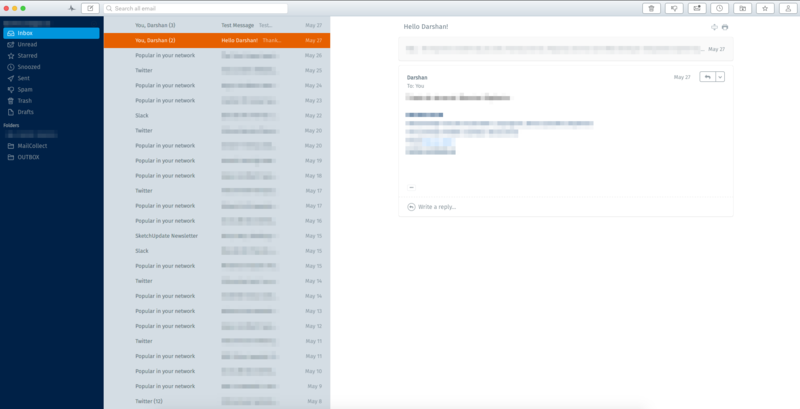 A Firefox inspired theme for the Nylas N1 email client. Based on the Taiga theme. Want to be notified of new releases in darshandsoni/n1-firefox-theme? The N1 Firefox theme is a Firefox inspired theme for the Nylas N1 Email client. This theme uses the Taiga theme as a starting base. Thanks to noahbuscher for extensive documentation on variable names. In Nylas N1, go to N1>Preferences>General>Select Theme. Select Install new theme. Select this project folder. If you don't already have it, get the open-source Fira Sans font made for Firefox. - This step is optional but recommended for good posterity. Refresh N1, put your feet up and bask with the fox.